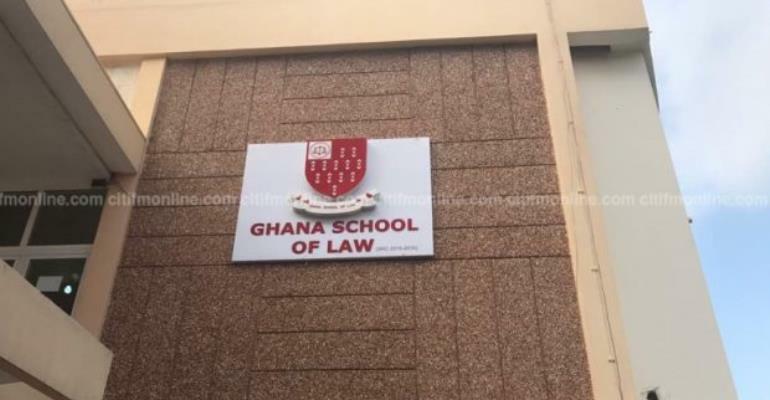 Some students of the Ghana School of Law are blaming the existing curriculum of the school for the massive failure in its recent examination. It is reported that more than 80% of students who wrote the examination in May 2017 failed, as only 91 out of the over 500 candidates passed. According to the concerned students of the school, the entrance exam administered by the GLC, must be abolished in the face of the massive failure. It is thus calling for the resignation of all members of the General Legal Council. The mass failure recorded by the GSL this year is a testament to the call that the entrance exams be abolished as it has failed to establish that it’s a pristine source of sieving the quality applicants from the ‘chaff’. Secondly, this results demonstrate that the present curriculum as presently modified has contributed to the deteriorating nature of the supposedly ‘quality’ students that are admitted and must be scrapped and the old formulae restored. Thirdly, the Bar results as released points to the fact that, the quality of teaching has deteriorated if, we have to abide by the logic of the GLC that the entrance exams helps to admit quality applicants. Lastly, the results lend credence to the proposition that of some debaters that, the GLC has crafted these examinations as a cash-cow or conduit of milking both prospective students as well as candidates for the Bar exams. Meanwhile, the President of the Students' Representative Council (SRC) of the Ghana School of Law, Sammy Gyamfi has said that the results of the exam is not credible. Speaking on Eyewitness News on Tuesday, he said, the leadership of the SRC does not believe the result is a true reflection of the performance of the candidates. “There are fundamental flaws… something is fundamentally flawed with the entire process. All you are seeing is not all there is. If we go deeper into the issue and we allow independent credible professional examiners to remark the same scripts, we are very confident that more students will pass,” he said.